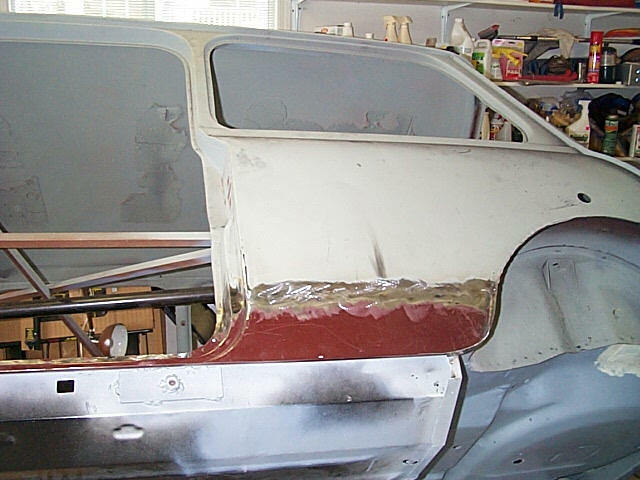 Now the floor is finished up on the outside, the rear valance applied and the driver side door step and outer sill are put in place. 1. This is a picture of the floor bottom, where I have marked the location of all the brackets for holding the wires and lines. 2. 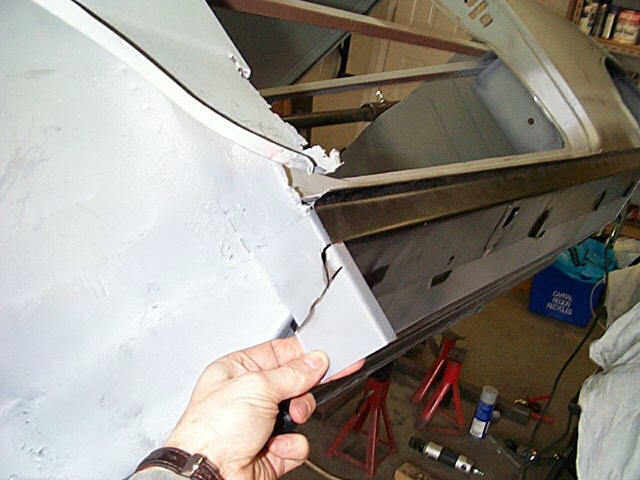 These brackets do not come fitted to the new floor, so they were removed from the old floor, stripped of sealer, paint and rust, and zinc primered. You can see them on the board below the car. 3. 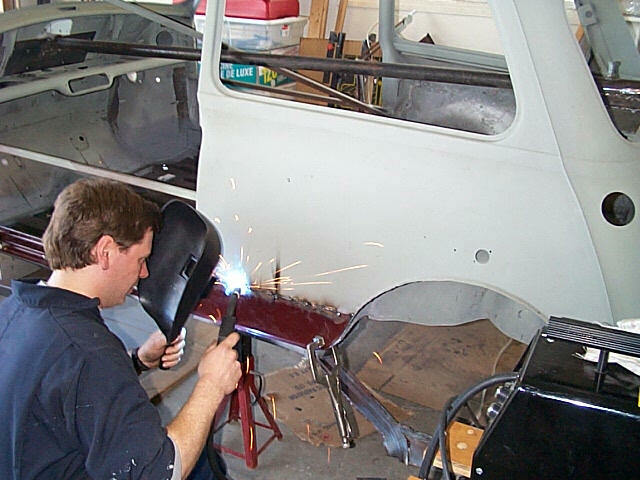 Then each of the brackets was plug welded onto the new floor. 4. 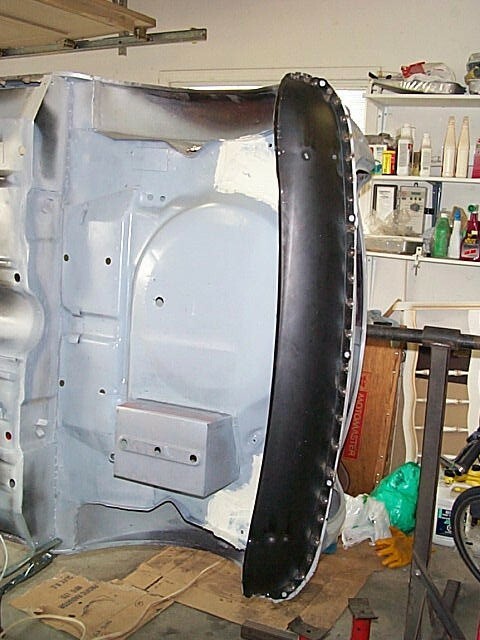 The rear area was then sealed with seam sealer prior to welding the rear Valance in place. This made it a lot easier to reach all the areas. 5. 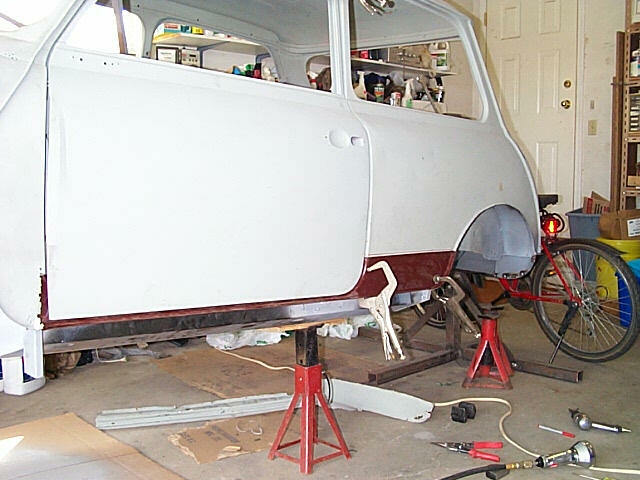 A shot of the rear valance plug welded in place. I took a bit of tugging and clamping to fit as this was an after market panel and the fit was not the best. 6. A close up of the plug welds. 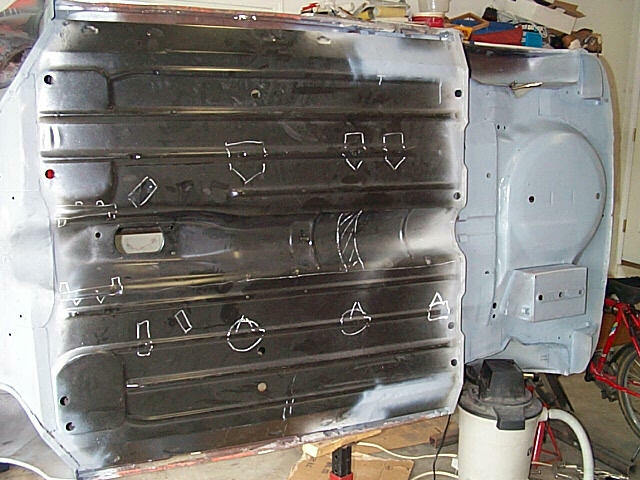 These get ground down and sprayed with a primer until the total car gets primered and painted. 9. 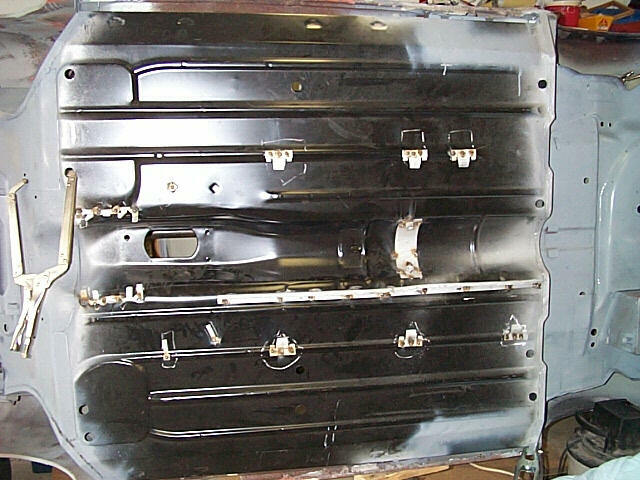 Then with the door mounted, the new panel was lined up, screwed in place and clamped. 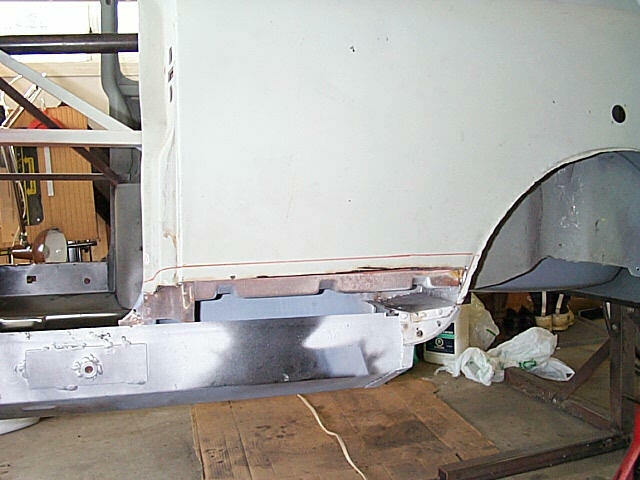 the body was then marked, the panel removed and the body trimmed. 10. 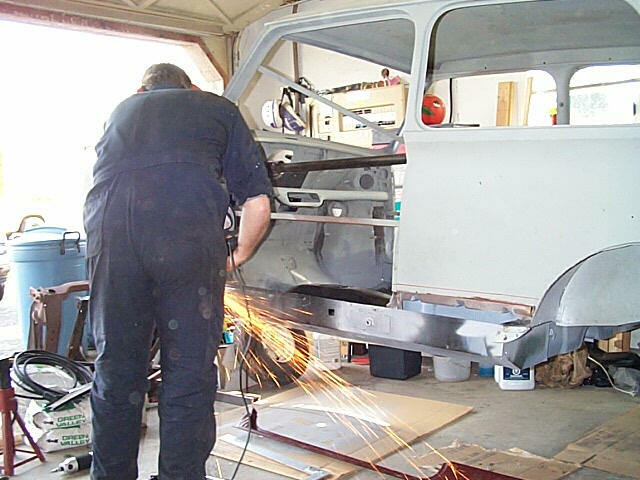 After stepping the edge of the car and refitting the panel the welding in begins. Pat shows off his welding skills! 11. 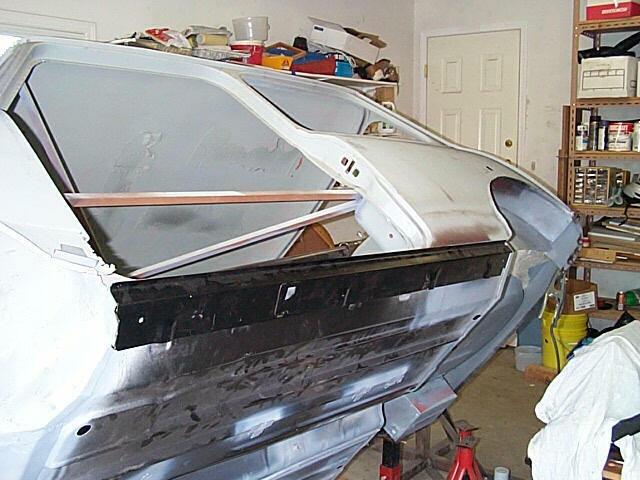 Completed weld along the body area. Thanks Pat! 12. 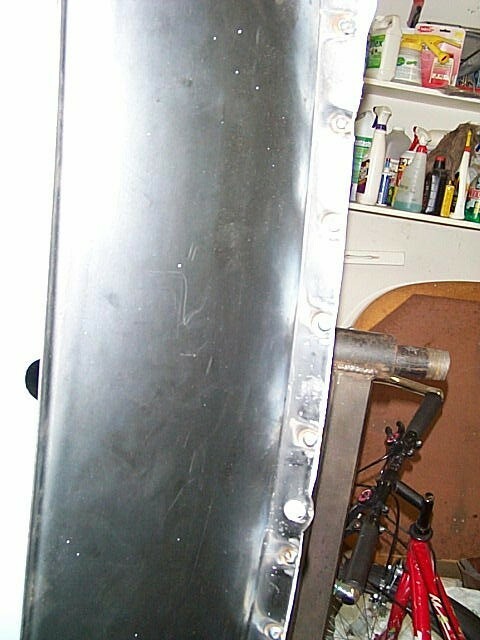 Completed welds for the other end and the plug welds along the door step. 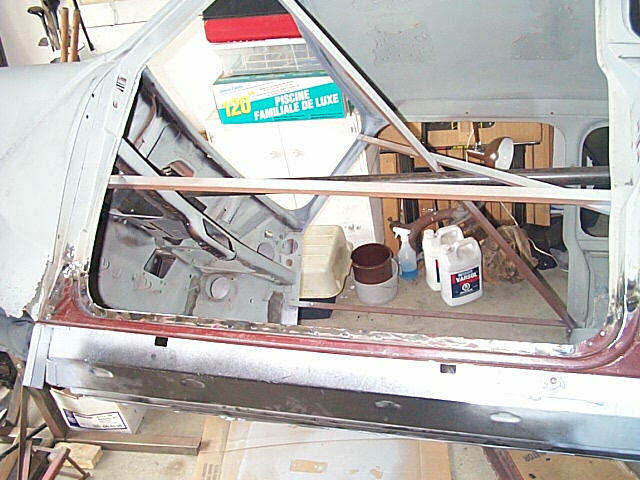 You can see the bracing that was put in place to keep the door opening from distorting while the floor was out. 13. 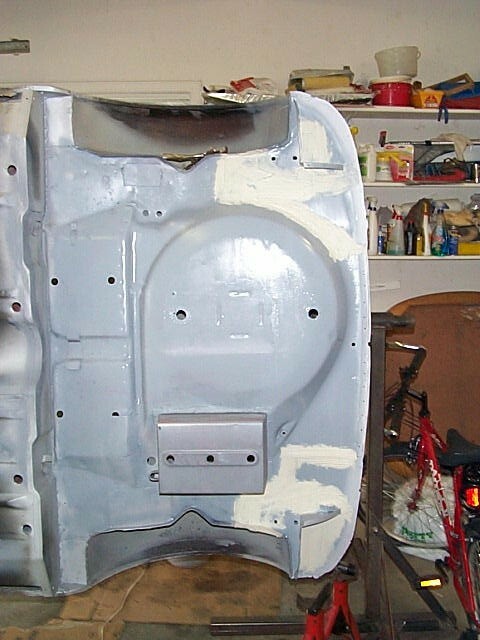 Then the grinding begins, to smooth out the welds on the body..... 14. 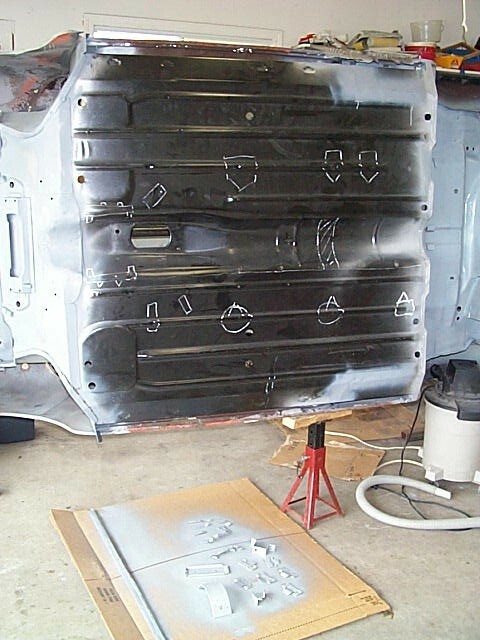 ...and all the plug welds along the door step. Oh the noise!! Good thing for ear protectors. 15. Next was to fit the outer sills. 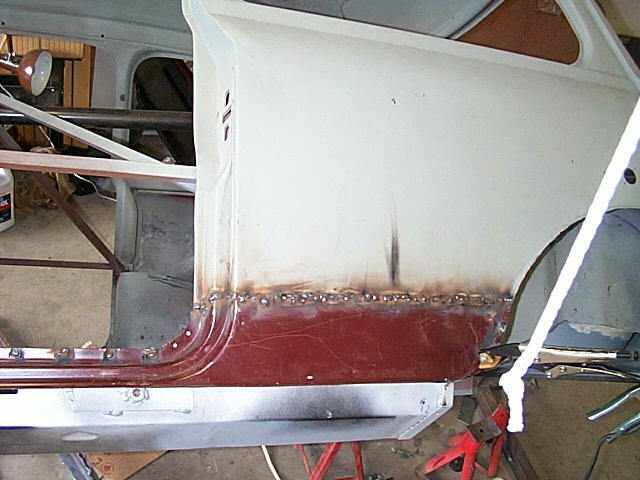 here I went with the original sills as they seemed much better quality and thicker metal. 16. The extra piece I left on the repair panel is now trimmed off, so it matches the contour of the outer sill. 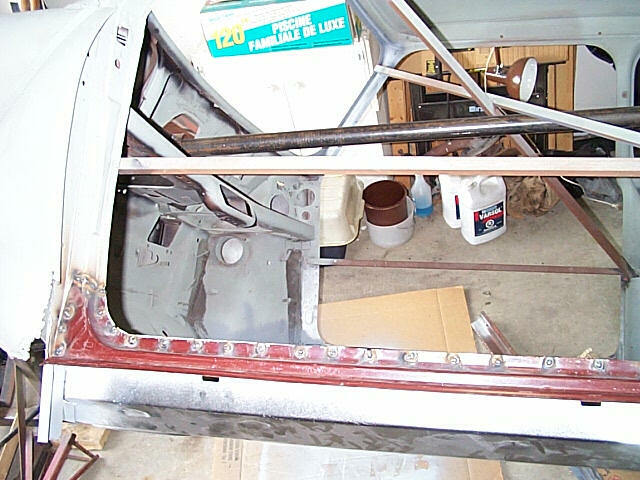 The next page continues the outer sill fitting, welding , grinding and primering.